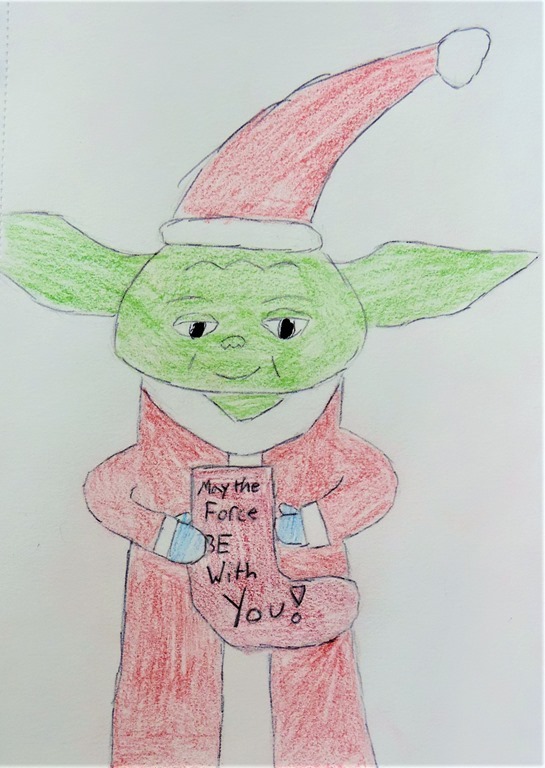 Posted on December 18, 2017 by McK. 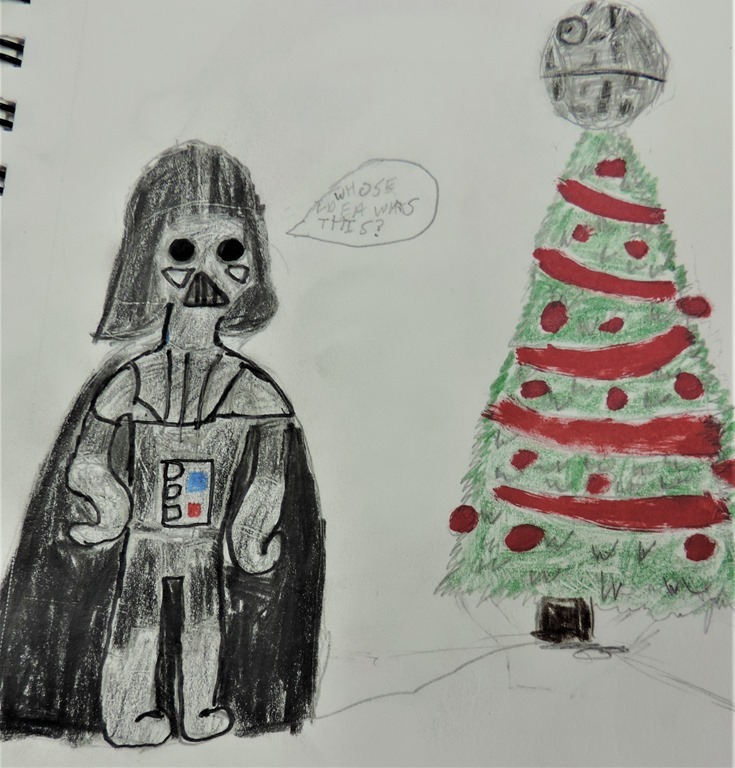 Posted on December 5, 2017 by McK. 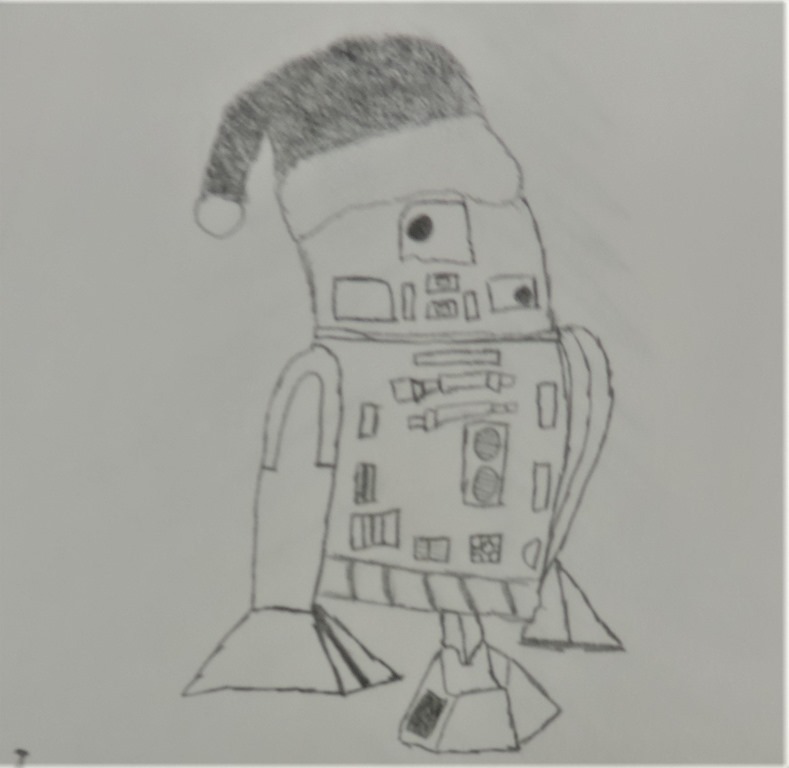 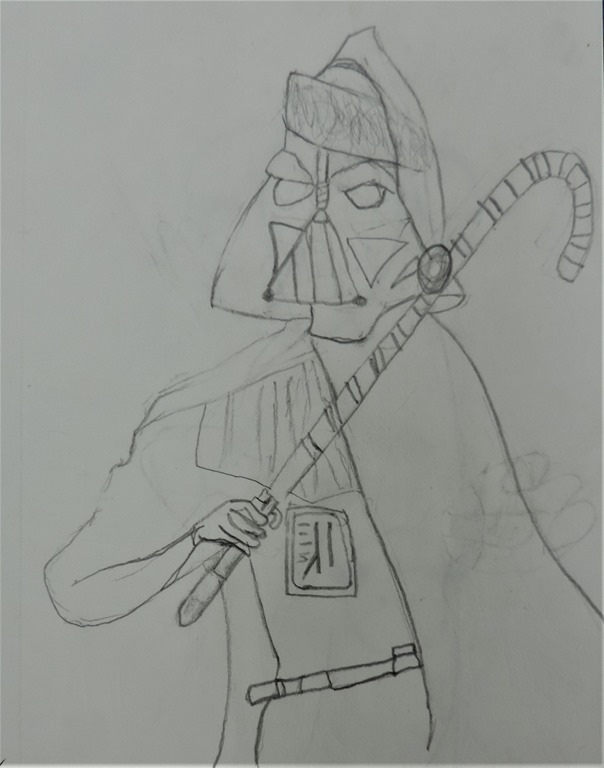 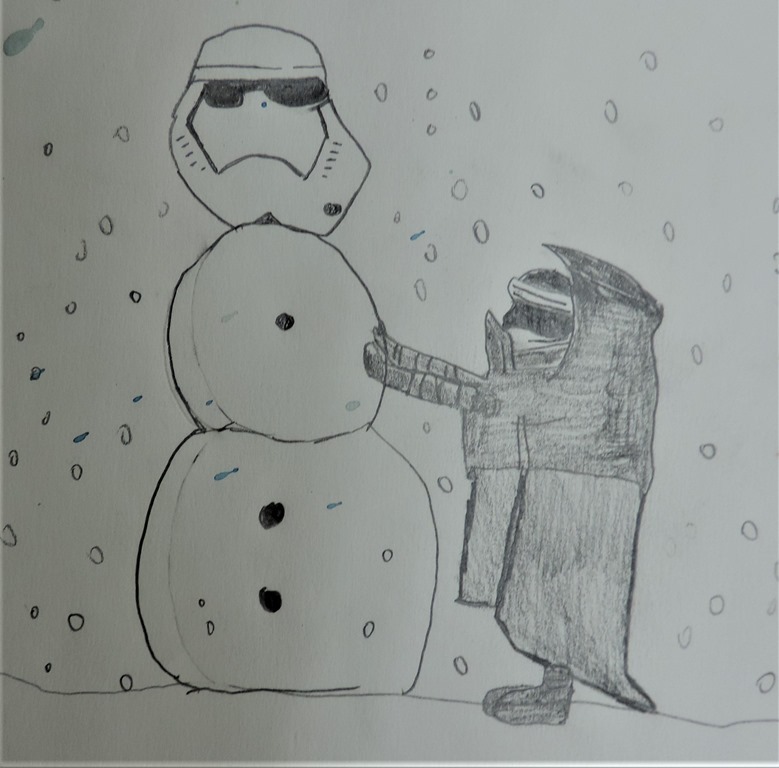 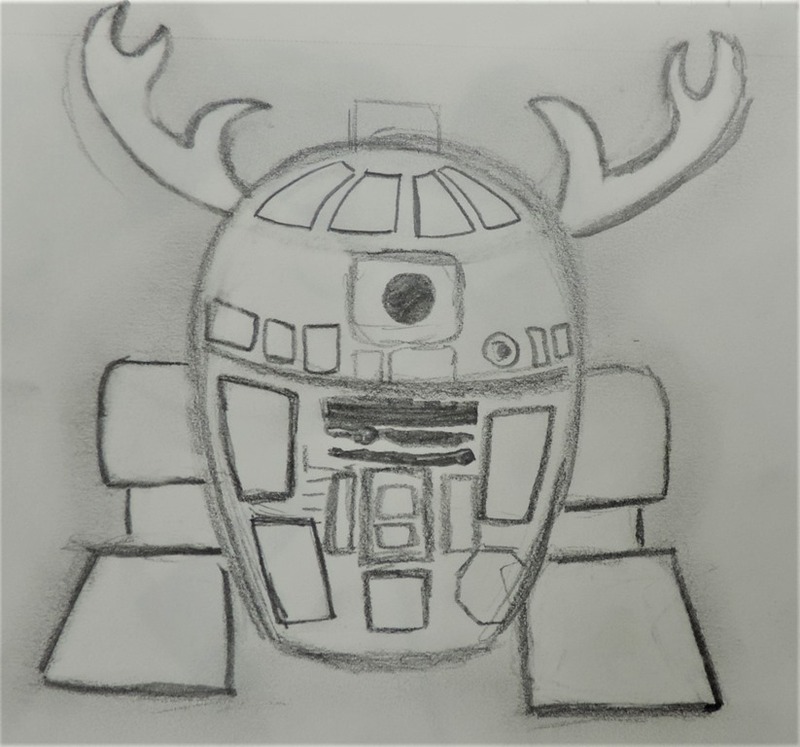 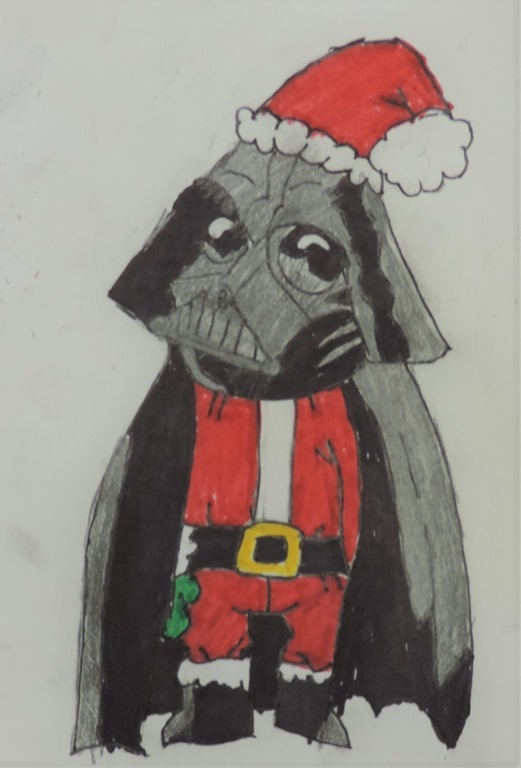 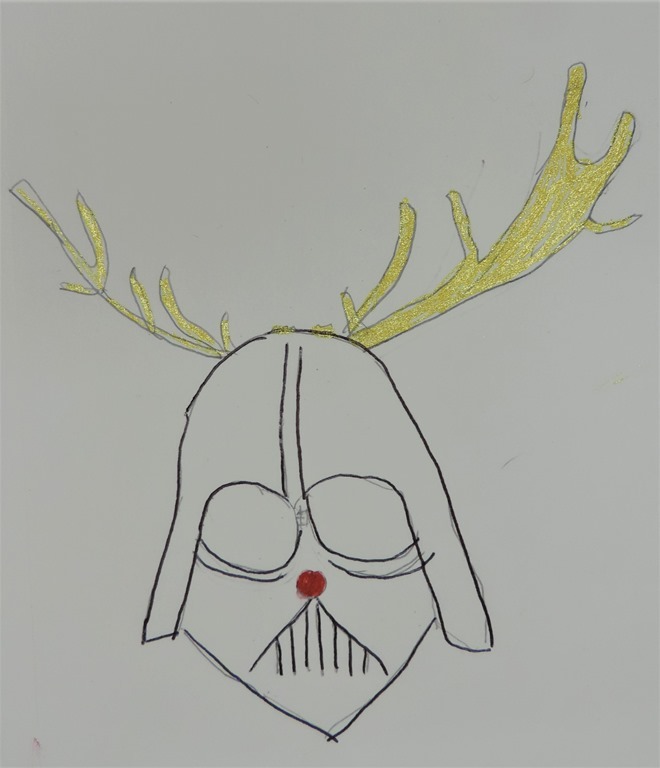 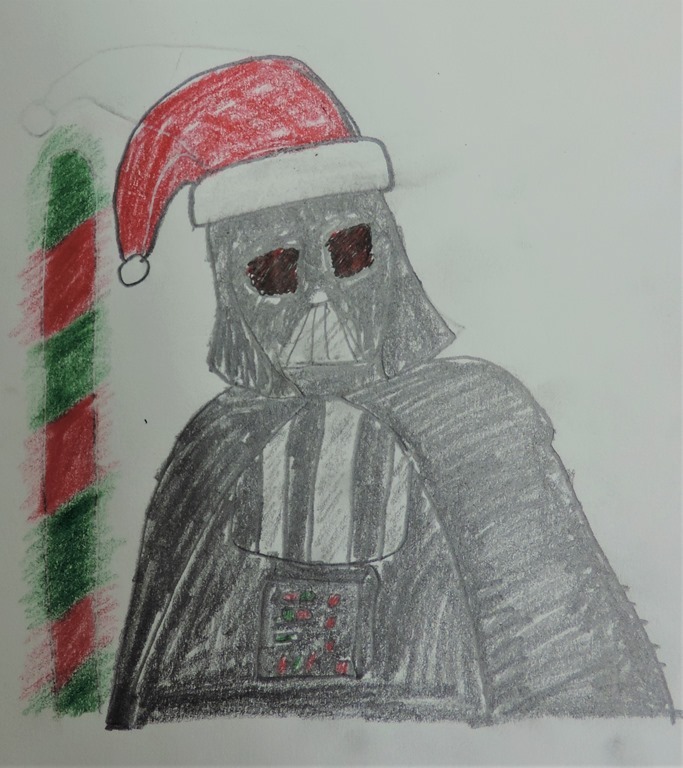 For your last Homework of the Quarter, in honor of the Last Jedi and the Christmas Holiday coming up, I would like you to draw an image that combines Star Wars and Christmas. 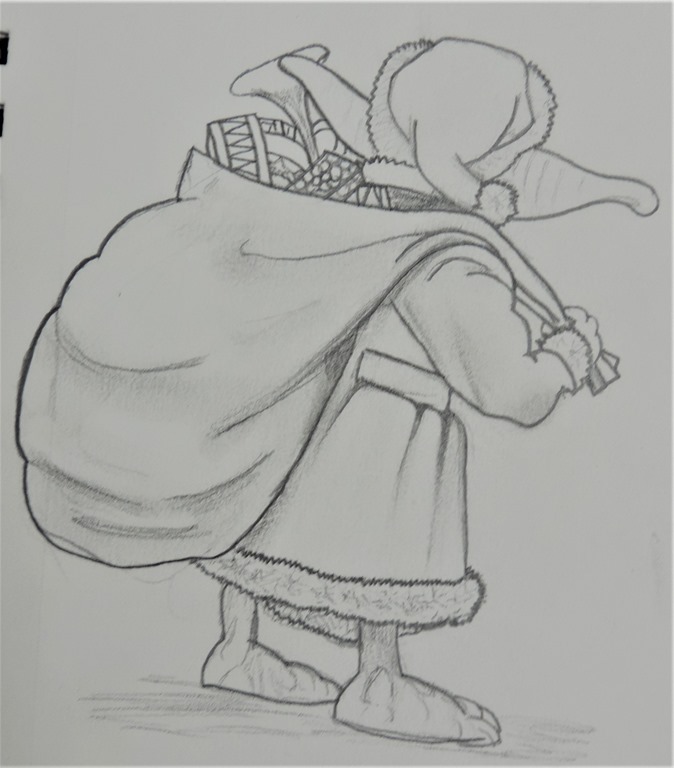 Have fun and do your best! 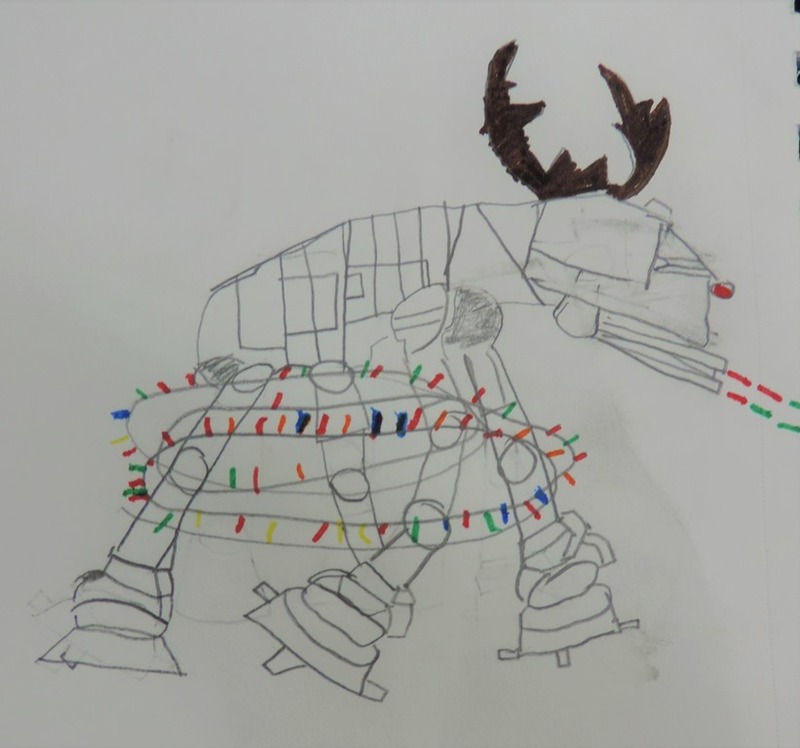 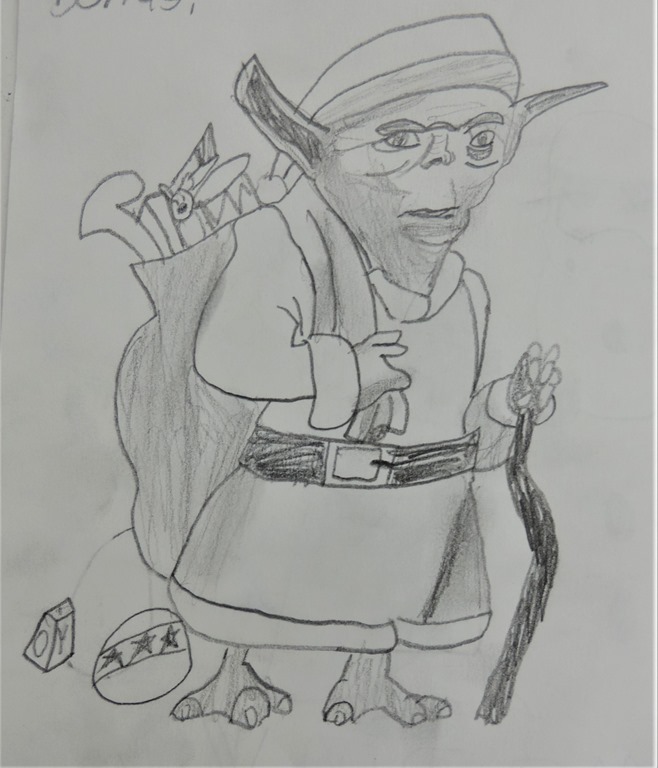 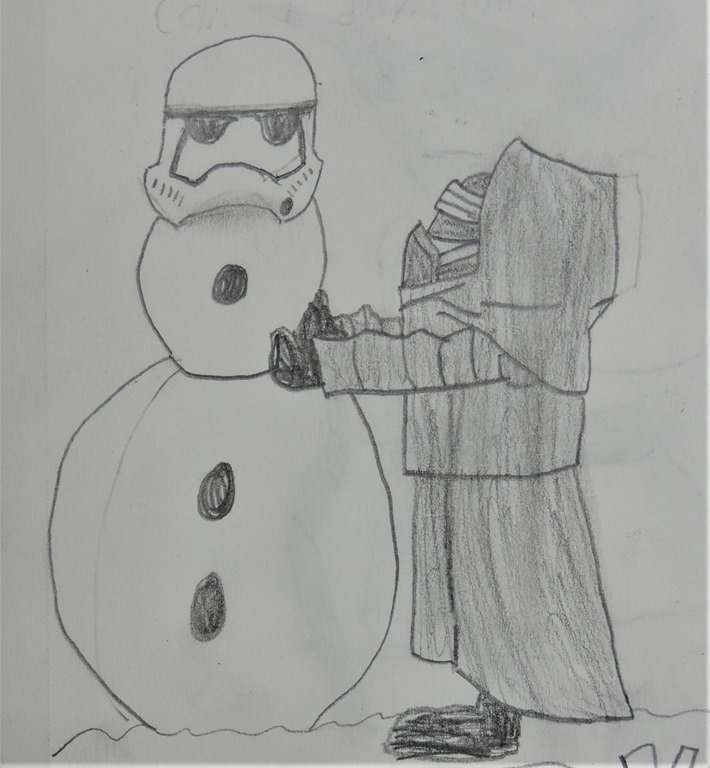 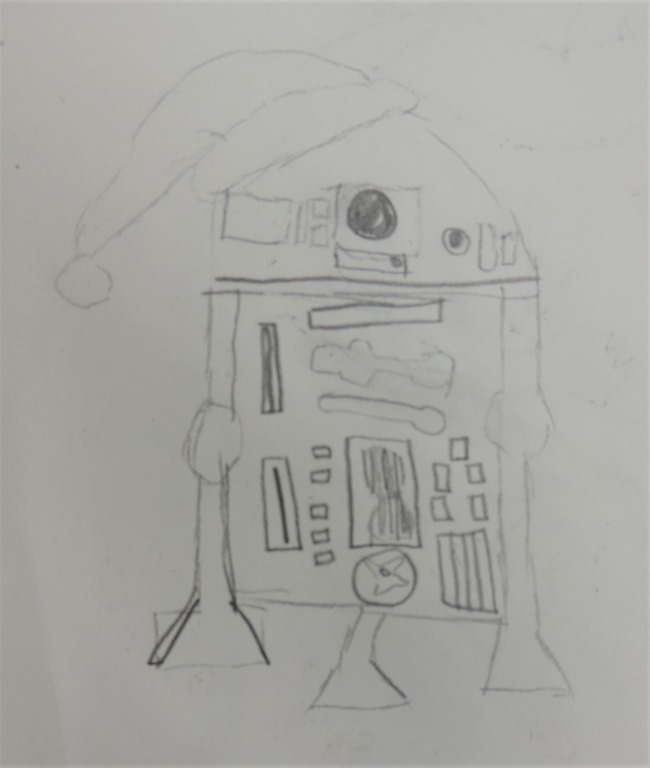 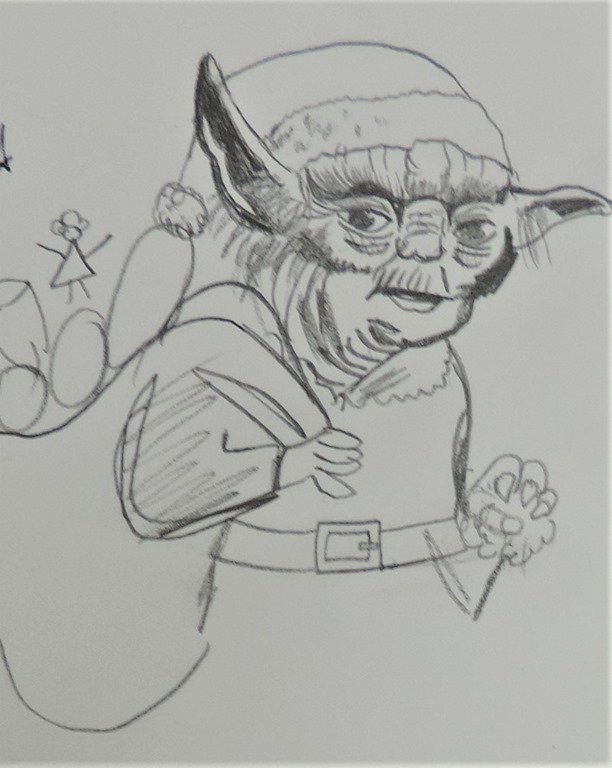 Bonus opportunity…in addition to your homework assignment you may do another drawing of this Yoda as Santa Claus…that is a second page for the bonus credit!